Plan International UK is to trial a new mobile phone system that will help sponsored children communicate more easily with their sponsors in the UK. The pilot project from the charity, which will run for the rest of the year, has been launched with mobility specialist CommonTime and has received funding from the People’s Postcode Lottery. It will test a number of software solutions designed to reduce the time it takes for messages to reach recipients and reduce the cost to the charity of facilitating the communications. 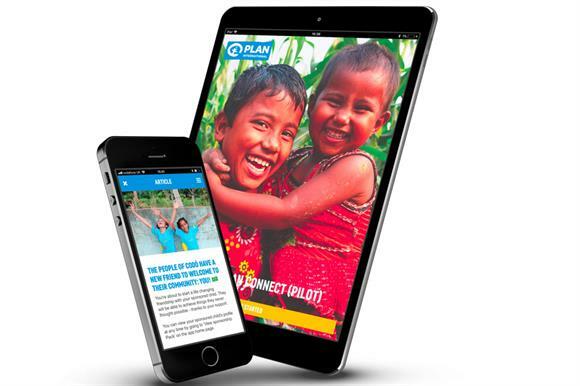 Plan International UK has about 81,000 sponsors in the UK, sponsoring more than 86,000 children in 50 countries. The sponsors are paired with children in developing countries and and encouraged to develop relationships. Sponsors receive regular updates from their sponsored children, and the UK supporters also keep in touch by writing letters. Communication can take time, however, because of the challenges with content moderation, translation and physical transportation. Even emailed messages can take weeks to be delivered. The CommonTime technology has been developed to make it easier, quicker and more engaging for the sponsor and sponsored child, by sending and receiving messages through mobile devices. It also means sponsors will be able to exchange digital photos and videos with their sponsored children. CommonTime’s system will include features for moderators designed to protect the children, such as not revealing their exact location, which will also speed up the communication process and reduce costs. The charity’s staff, who will receive a copy of every message before it is delivered, have the option of approving or rejecting them. If rejected, a message is returned to the sender with details about the rejection and suggestions for modifying the content. Alan Gosschalk, director of fundraising for Plan International UK, said: "Sponsors find it hugely rewarding to build a personal connection with their sponsored children, receiving updates about how Plan International UK is helping the communities they live in. Support from players of the People's Postcode Lottery has enabled us to use technology that will make it both cheaper and easier to build unique relationships around the world and communicate the impact of donations." Ian Knight, chief executive of CommonTime, added: "CommonTime believes that finding new and engaging ways of communicating with supporters will be vital to the success of charities over the next decade."